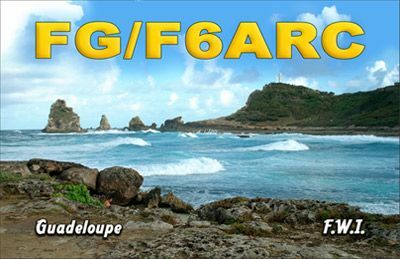 F6ARC will be active again from Guadeloupe Island, IOTA NA-102, until 29 November 2017 as FG/F6ARC. He is working on HF bands including activity in CQ WW DX CW Contest 25 - 26 November 2017 in SOSB 15m . 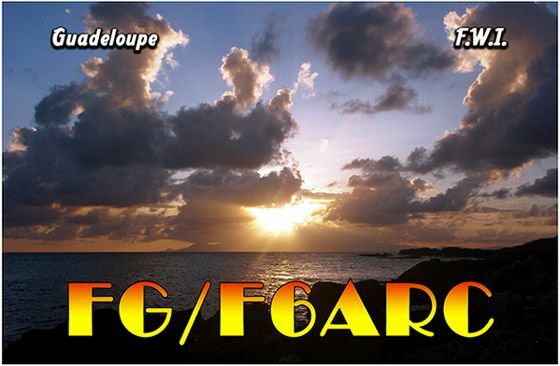 QSL via FE11DX, LOTW, eQSL. Stef Laigneau 1 Résidence F.Foreau 28110 Lucé France. FG/F6ARC. Where is Guadeloupe Island located. Map.